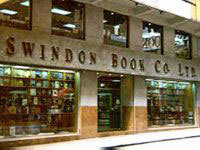 Swindon Book Co., Ltd. is an established leader in the books and stationery trade having started business in Hong Kong in 1918. The retail outlets are strategically located in prime business and residential districts. Associated companies are Hong Kong Book Centre and Kelly & Walsh Ltd. Besides retail, the company acts as distributor for several books and stationery companies. In addition to our retail stores, we actively service academic institutions, professional associations and industrial organizations in Hong Kong and overseas through our mail order department.